Gamma Duflex, produced late 1949, featuring all the news: Instant Return Mirror, Automatic Diaphragm and Metal Curtain Shutter. Proprietary lens mount. Size: 151x89x40 mm. Weight: 640 grams. 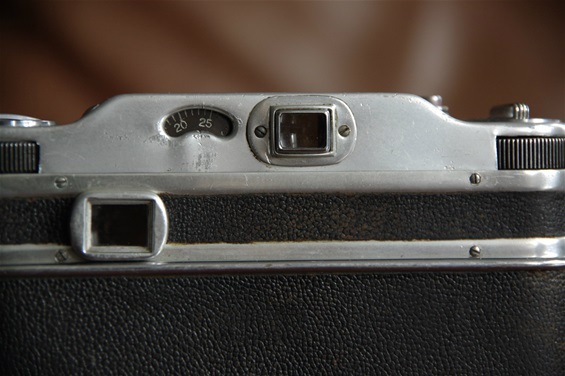 Worlds first Eye Level SLR ? 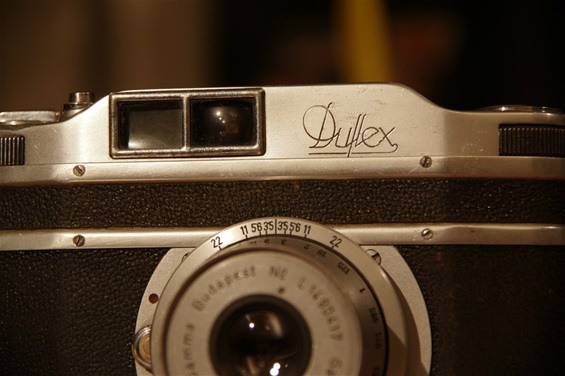 This very in-depth story also shows that the Duflex was not series produced in 1947, as has been the common opinion until recently. The series production, if one can use that phrase when only some 550 pieces were produced during 1 1/2 year, started shortly before the Italian Rectaflex, but hit the general market some months later, still before the Swiss Alpa Prisma Reflex and the East German Contax S, to mention the 4 pioneers to make it to the market while still in the 40s. Nevertheless, the Duflex was ahead of its time. It featured Instant Return Mirror, only known from the not so successful gravity based version on the german Praktiflex of 1938. On the Duflex, it was mechanically operated. This was a huge step in camera construction. Further, it featured an internal automatic diaphragm control, some ten years before others would show the same. The third "first" was the focal plane metal curtain shutter. 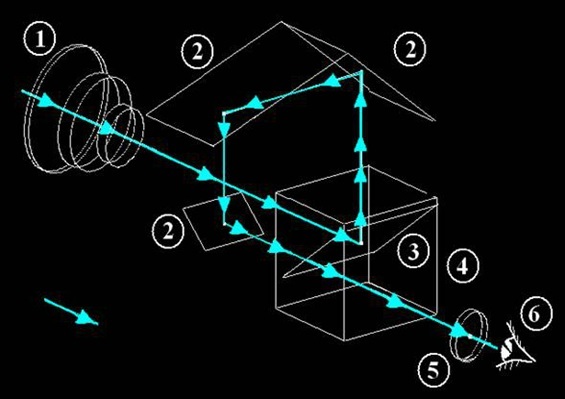 The viewer was not a pentaprism type, although that had been planned at a time, but rather a Porro prism, an arrangement of mirrors that would bring the light beams in through the lens, then reflected via mirrors upwards, to the right, downwards and finally backwards to meet the eye in a standing, sideways correct image. This is the Duflex Porro prism. 1: Lens. 2: Porro prism mirrors. 3: Instant Return Mirror. 4: Mirror box. 5: Viewfinder glass. 6: Eye. 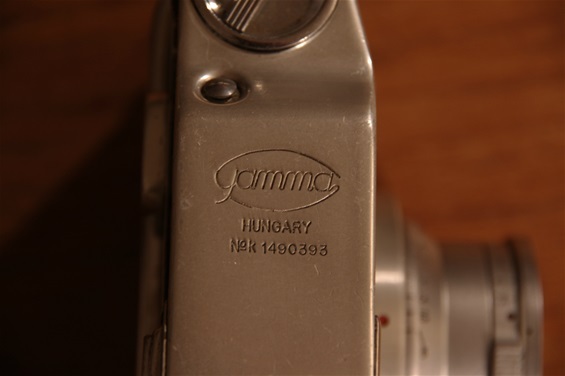 Producer: Gamma, Land of production: Hungary, year of production: 1949, the extra digit 0 tells us it was a late '49 production, production number: 393. This is how the automatic diaphragm worked: When pushing the shutter release button, an actuator, seen as a dark spot to the right of the red spot and the lens release handle, came out to push a button in the lens, seen as the grey spot at the inside top of the lens to the right. This button released the blades of the diaphragm to move to the preselected f.stop. The two viewfinders: to the left, the real one follow the subject via the Porro prism through the lens, and the upper one that let you see directly forward, aided by three frames, one to show the picture with a 35 mm lens, one for 50 mm and one smaller frame for 90 mm. Still, Gamma produced no other lens for the Duflex than the two standard lenses. The counter is seen to the left of the upper viewer. A little worn, as one can see. 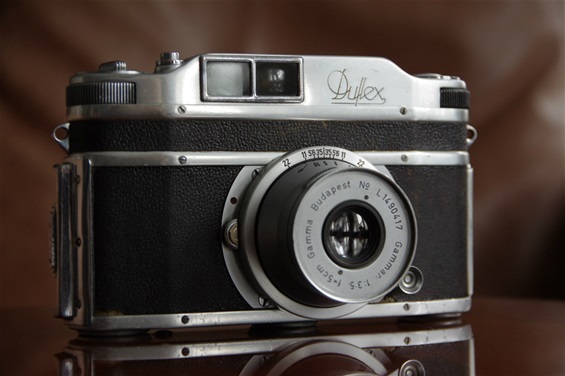 Among collectors and connaiseurs; the famous Duflex. Yet unknown to most.. The constructors did not choose to build it with a pentaprism, although the construction was not unfamiliar to them, but constructed another system of mirrors called a porro prism. Almost all later eye level slrs were built with pentaprism. 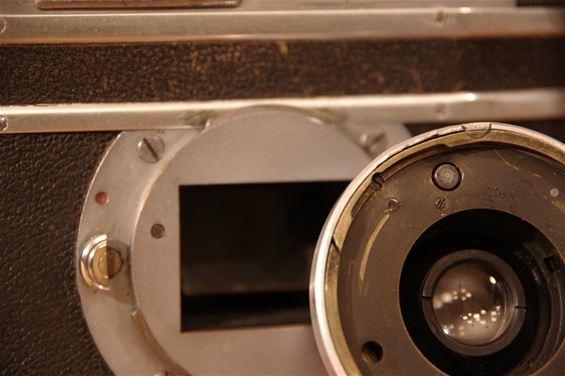 So, the question is, which camera was the first Eye Level SLR? Most sources will say that Gamma Duflex was the first, presented in 1947. But no production took place in '47, other than very few prototypes. Still a small brochure was printed, and people were made aware of the new camera. 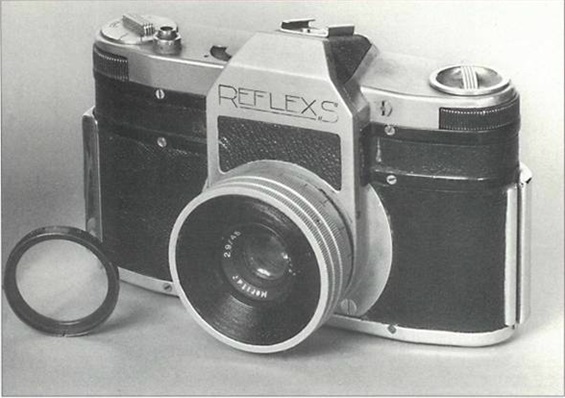 Rectaflex of Italy also showed a brochure at the Milano show in June 1947, and presented a camera not fully working. Dulovits and helpers at Gamma went on building new and improved versions, but at late as early summer 1948, there still were no drawings. 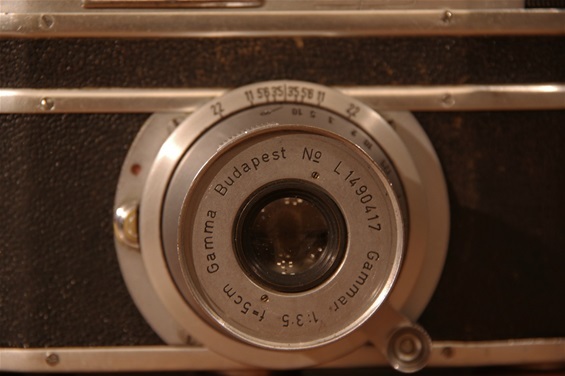 Series production started autumn '48, but due to a few missing parts supposed to be delivered from other factories, the final marketing and sales of the first 50 cameras did not happen until early 1949. At that time, Rectaflex had already produced some 1150 of their A.1000 series. In my world series production and sales marks the official start of a product. So, still in my world, Rectaflex was first. But the Gamma Duflex of Hungary introduced the world to some technical solutions that it would take many years for others to copy. 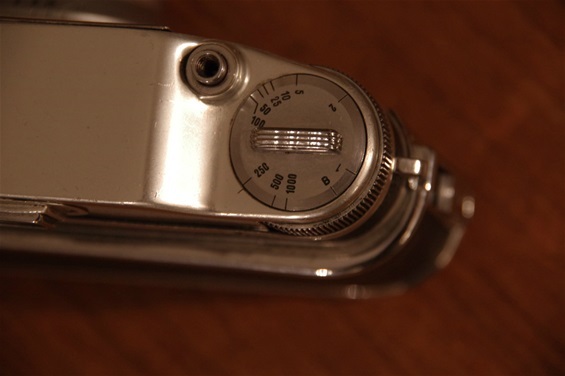 Shutter time release button (trigger) to the left of the shutter time dial. Values from B to 1/1000. Only 3 prototypes were made of this PP SLR based on a Duflex body with a somewhat Contax S looking prism house. The samples were made at the MOM factory in Budapest, but never hit the market. Needless to say: none of the three are in my possession.